Advance Tree Pros is your professional tree and stump removal company in Orlando. 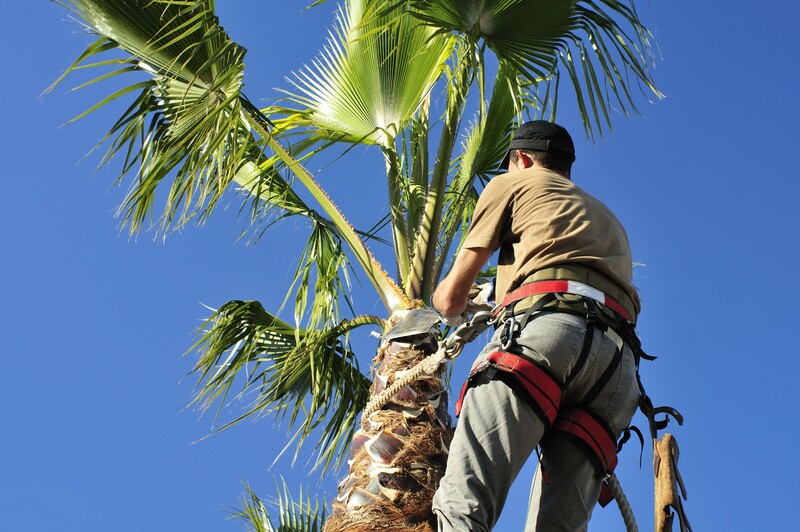 With years of comprehensive industry experience, our certified arborists have the tools and expertise to effectively care for and salvage any type of tree including palm trees, along with elk, pine, redwood, cherry and more. Call or e-mail us to schedule your no-obligation consultation and receive a free quote. Whether for homes, businesses, schools, restaurants or commercial establishments, our highly-dedicated team is committed to excellence in safe tree and stump removal services. We also offer complete land clearing services, as well as debris cleanup for Orlando properties. While we safely remove damaged and aged trees, we also protect the environment at every turn. This includes tree pruning, salvaging and essential care tips to protect your home year-round. We even network with local wildlife agencies when we find birds and other animals within trees. Similarly, we recycle all removed trees for wood and continue to meet the needs of the Greater Orlando community. As your Orlando tree removal professionals, we ensure maximum safety for you and your loved ones. This includes industrial-strength nets, which catch falling limbs, branches, leaves and debris for easy removal. Additionally, our certified team can remove dangerous limbs that are hanging over your residence or business, with or without removing the entire tree. We fully analyze and assess the risk factors and dangers of aged and abnormally growing trees which helps us determine if complete tree removal is needed or just partial removal. As you know, caring for trees also means removing any obstacles that hinder natural light. We suggest eliminating any nets or covers that have been placed over smaller trees and bushes. Regular tree maintenance is needed to preserve the life and longevity of these miracles of nature. With this in mind, we offer convenient tree trimming services for all Orlando home and business owners. This includes yearly cutting and removal, along with bi-yearly or even quarterly – depending on your needs. With an Orlando tree removal company, you get the best services at the best rates. Not only do we service homes and businesses, but we also work for hotels, motels, schools, restaurants, local parks, national parks and practically every venue that needs tree services. We even offer complete site cleanup for architectural firms and builders. This is a great way to get all damaged trees and stumps removed before your commercial or residential complex goes up. Similarly, we are skilled in light tree trimming, land clearance, and full grapple truck and crane services. Emergency tree removal – trees can easily get damaged during heavy torrential storms and inclement weather. If a tree has fallen next to your home – or your yard is full of broken branches – cranes are the best way to remove hazardous trees safely. Heavy lifting services – If you need to move large or bulk items (pianos, outdoor AC units, crates, etc. ), cranes are simply the best. Large sign lifting – Cranes are perfect for lifting old signs and replacing them with new ones. Whether for billboards or business signage on buildings, we offer several cranes that will get the job done right. AC – Heat Installations – Smaller cranes, are great for lifting and setting your outdoor HVAC units. Larger cranes are required for buildings, warehouses, or industrial establishments. Whether for tree care, tree removal or crane services, we do it all at Advance Tree Pros! For more information on tree and stump removal in Orlando, simply contact us today or please visit our website by clicking here.